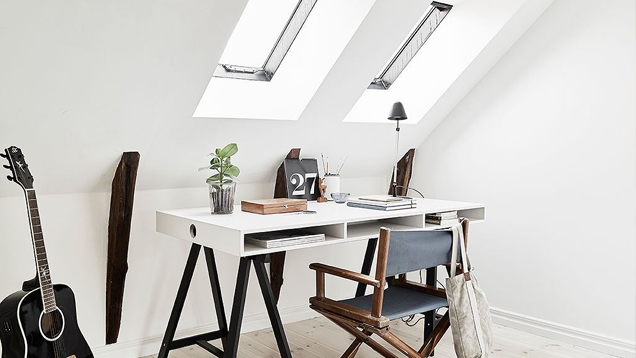 The workspace appears to be in the corner of a bedroom in a duplex in Sweden. The rest of the apartment, which is currently for sale, is just as clean and tastefully arranged as this space—so it’s worth a look over at 55 Kvadrat linked below, even if you’re not in the market for new digs. We’ve seen several white workspaces before, and this one’s further proof that you don’t need a lot of color to have an attractive home office.